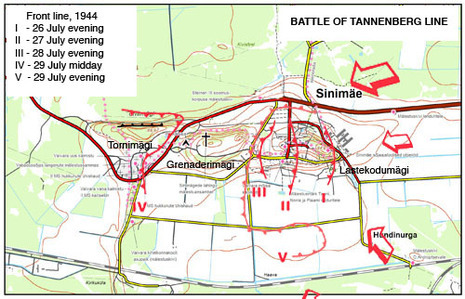 The Battle of Tannenberg Line was a campaign between the German the army detachment "Narwa" and the Soviet Leningrad Front fought for the strategically important Narva Isthmus from 25 July to 10 August 1944. 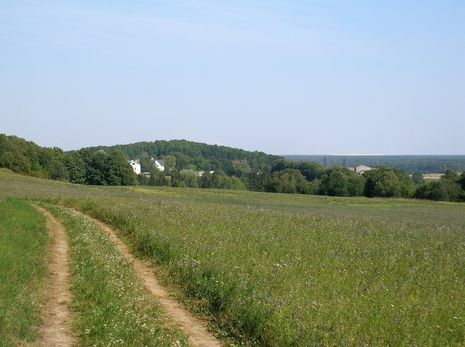 The campaign was fought on the Eastern Front during World War II. The strategic aim of the Soviet Estonian Operation was to reoccupy Estonia as a favourable base for invasions of Finland and East-Prussia. Several Western scholars refer to the campaign as the Battle of the European SS for the 24 volunteer infantry battalions from Denmark, East Prussia, Flanders, Flemings, Holland and Norway within the Waffen SS. Roughly a half of the infantry consisted in the local Estonian conscripts motivated to resist the looming Soviet re-occupation. The German force of 22,250 men held off the Soviet advance of 136,830 troops. As the Soviet forces were constantly reinforced, the casualties of the battle were 150,000–200,000 wounded and dead Soviet troops and 157–164 Soviet tanks. From 27 July, Nordland fought alongside Sturmbrigade Langemarck and Kampfgruppe Strachwitz from the Grossdeutschland Division to keep control of Orphanage Hill. Despite the death of the Nordland's commander, SS-Gruppenführer Fritz Scholz, who was killed in the fighting, and the subsequent deaths of the commanders of Norge and Danmark regiments, the division grimly held onto Orphanage hill, destroying 113 tanks on July 29th.On the 4th of August, men from Penal Company 103, a punishment company, were reinstated and absorbed into the Danmark regiment. The III (Germanic) SS Panzer Corps beld itself white defending the Tannenberg Line, until on September 16th it was pulled back into Latvia to defend the capital, Riga. Riga fell on 12 October, and by the end of the month all Waffen SS units had been withdrawn into what was known as the the Kurland Pocket.